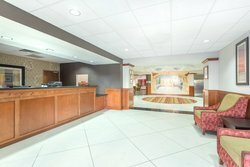 Browse our hotel photos below to gain a genuine understanding of what to expect when you stay at our Georgia hotel. 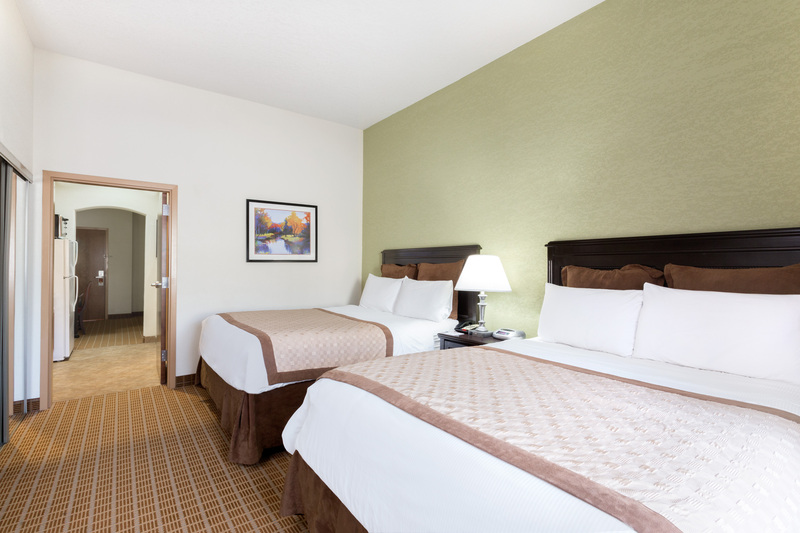 Hawthorn Suites in Kingsland offers you the perfect destination for families and corporate travelers alike. 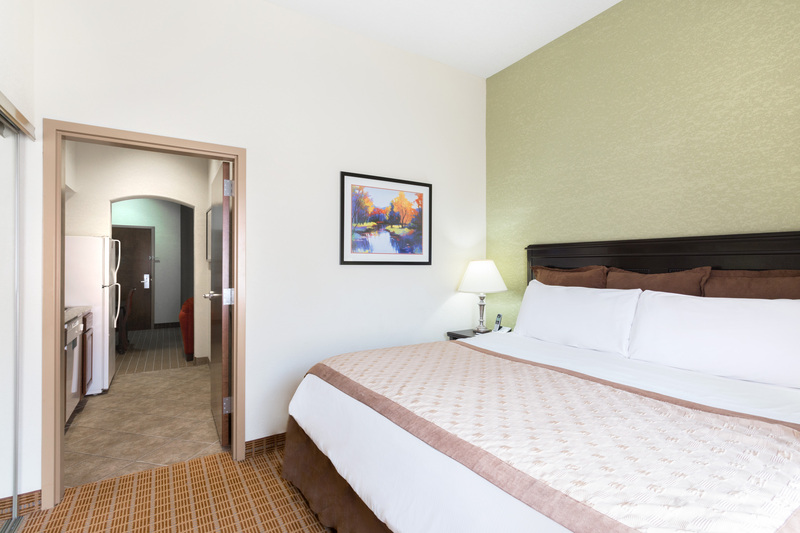 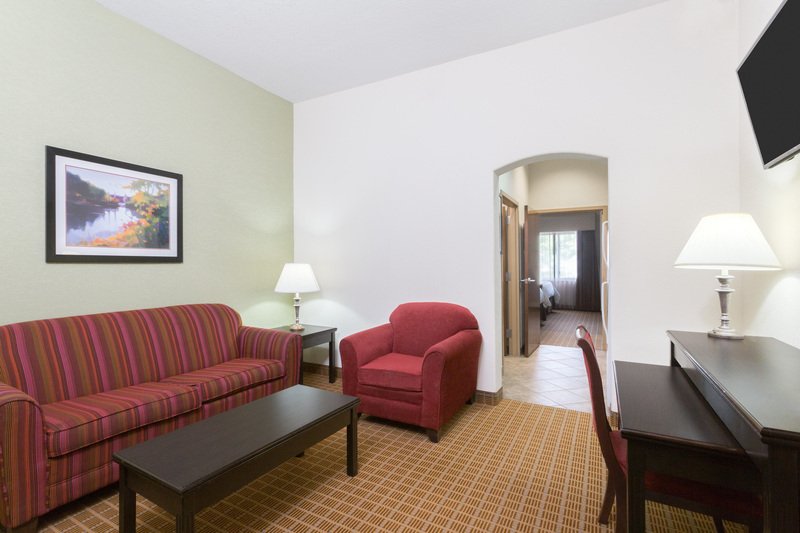 With full-service amenities, spacious suites, an array of onsite conveniences, and a central location close to I-95, you will make us your home away from home with ease! 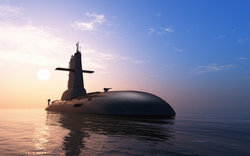 Explore the local area, visit nearby businesses including Kings Bay Naval Submarine Base, or make us your home base as you explore Georgia or Jacksonville - located just 35 minutes away! 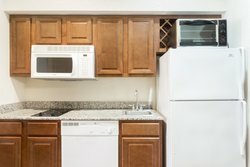 Use our gallery below to explore our illustrious property and start planning your Georgia adventure. Make Hawthorn Suites by Wyndham Kingsland your home away from home as you explore the wonders of Georgia. Our convenient location just off of the I-95 offers you easy access to the nearby Kings Bay Naval Submarine Base and several other local businesses, shops, attractions, and restaurants. Our welcoming common spaces, along with our modern amenities and spacious suites with kitchenettes make us the ideal hotel in Kingsland for business and leisure travelers alike! 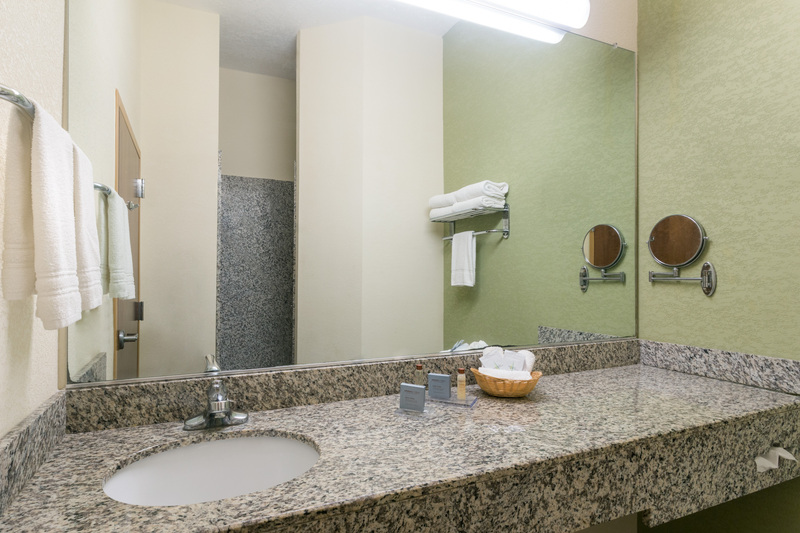 The bathroom has a granite countertop, full-size mirror, hair dryer and wall mounted vanity mirror. 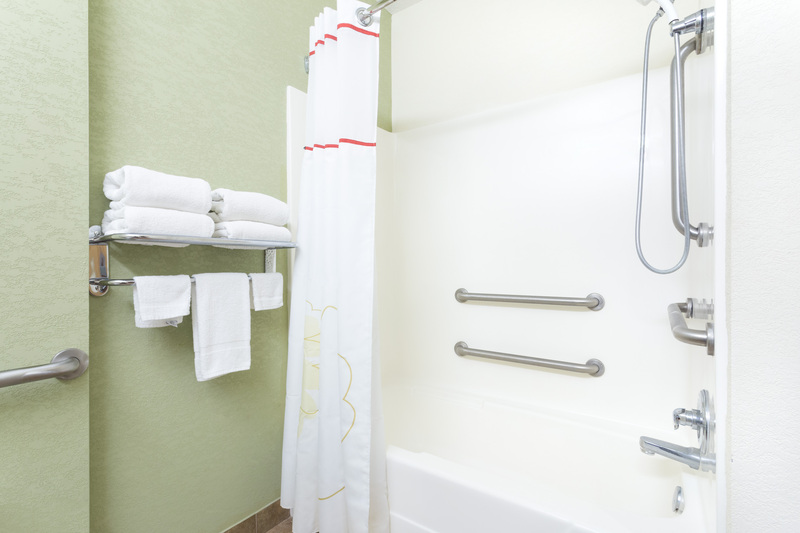 Take advantage of accessible features designed to meet your every need. Let the kids’ imaginations run wild in our lagoon style outdoor pool while you soak up the sunshine on our sundeck. 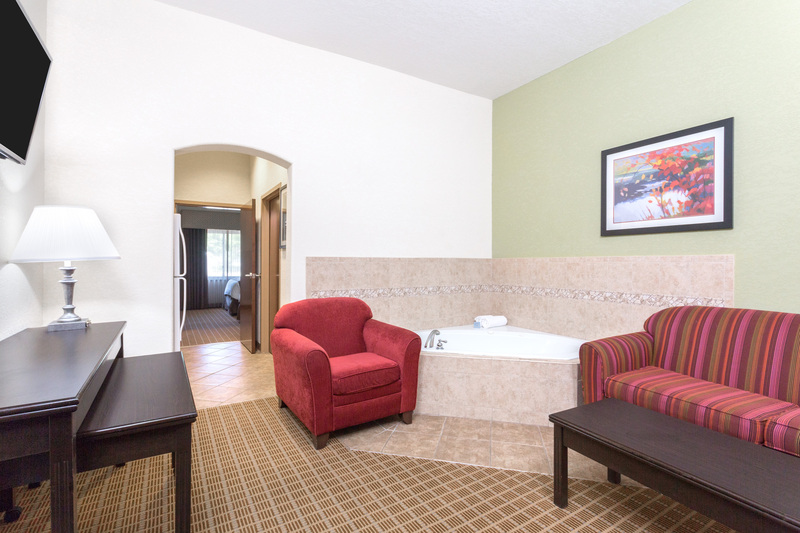 Or, use it as a refreshing and serene place to cool off in the evening after a long day of work. 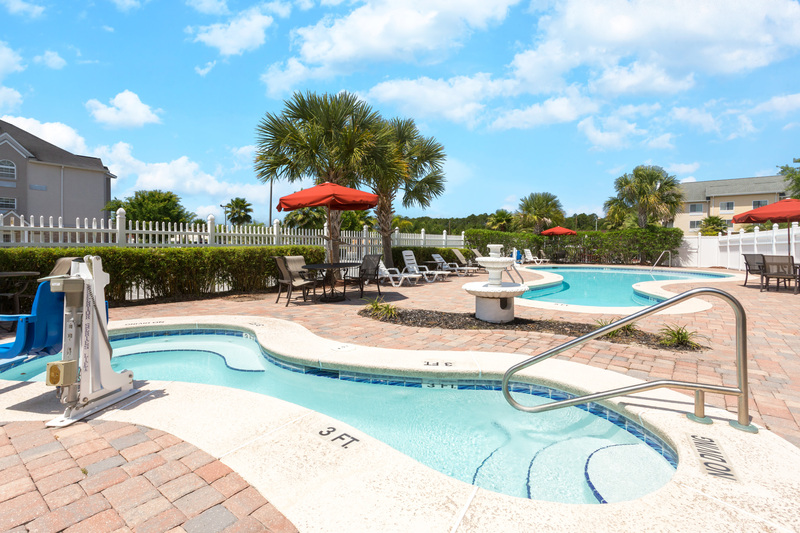 However you choose to spend your time enjoying our year-round outdoor pool, it is sure to be time well spent! 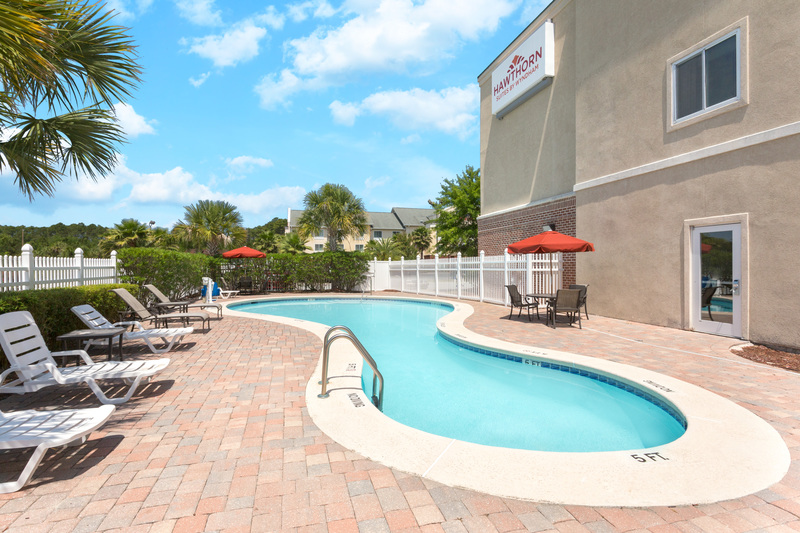 When you elect to stay with us at Hawthorn Suites by Wyndham in Kingsland, you will benefit from a multitude of on-site amenities such as this lagoon-style pool, allowing you to truly find comfort and relaxation in every night’s stay. Wake up each morning to a delectable spread of hot and cold breakfast foods. 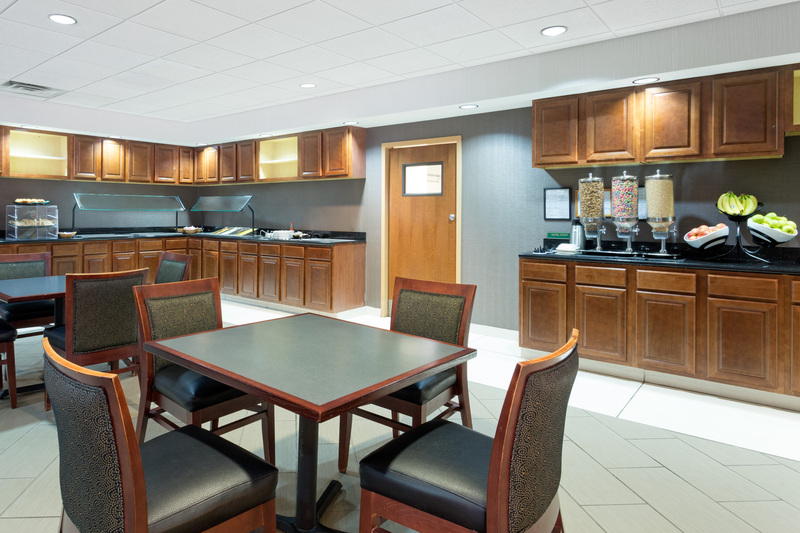 Our American-style breakfast buffet offers rotating assortments chosen by our chef. 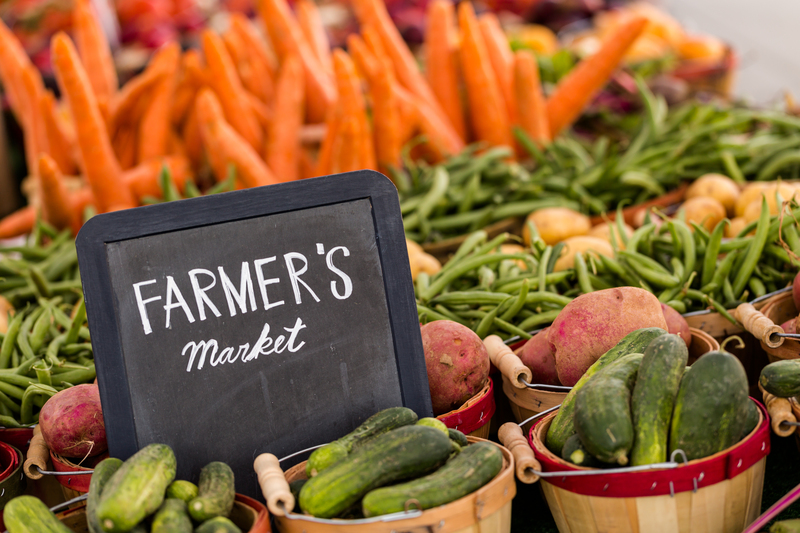 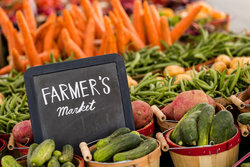 Enjoy a daily selection of eggs, breakfast meats, potatoes, yogurt, oatmeal, fresh fruits, waffles and pancakes, cereal, and even biscuits and gravy once a week! Gone is the anxiety of being unable to stay active while you travel! Stay out of the heat and get your workout done in our convenient on-site fitness center instead! 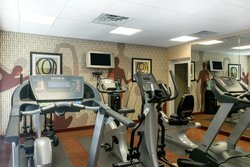 As an added bonus, our fitness center is open 24/7. Aside from our complimentary breakfast each morning and the ease of cooking provided by our kitchenettes, Hawthorn Suites in Kingsland also offers you the use of our outdoor BBQ. 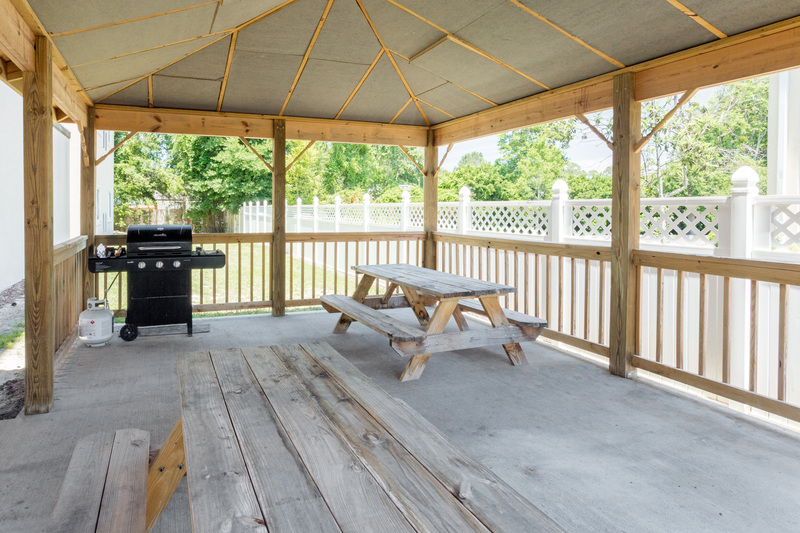 Gather the family around the grill and enjoy a tranquil outdoor dinner at our picnic tables set under a beautiful, sheltered gazebo. 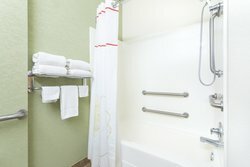 Book your stay in a spacious suite at our hotel near Kings Bay Naval Base, GA. Make us your home away from home as you explore the base, visit it for work, or see loved ones who call the base home. 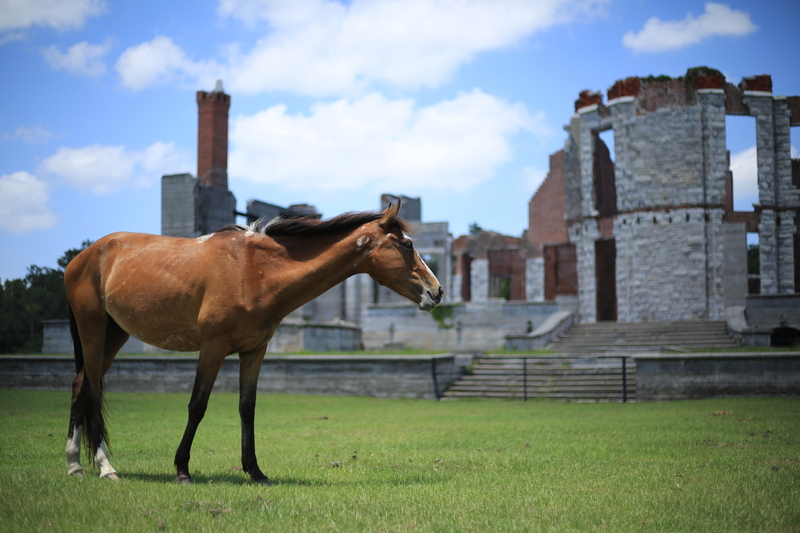 From our spacious all-suites hotel near Cumberland Island, you can easily explore this stunning island where nature and history collide. 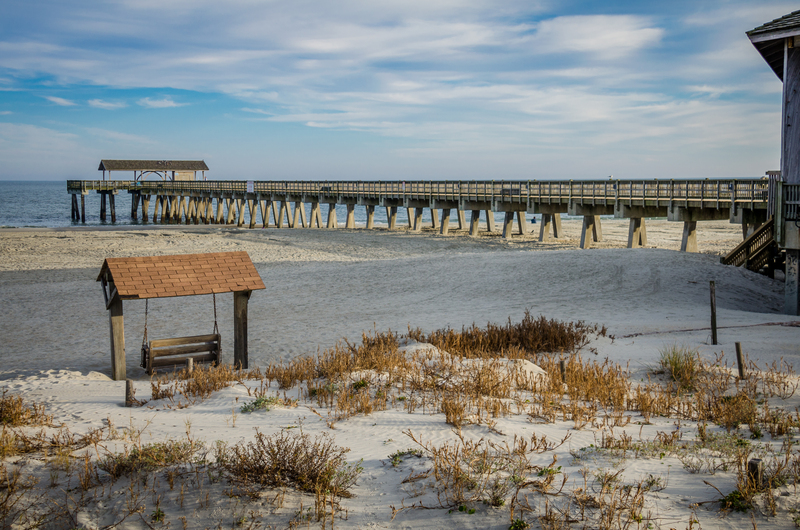 Cumberland, which is Georgia’s largest and southernmost barrier island, offers its visitors stunning beaches, vast marshes, and 9,800 acres of serene wilderness. 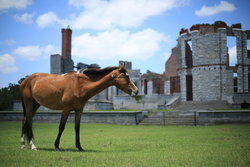 From picturesque seashore to historic museums, the area is bursting with local attractions. 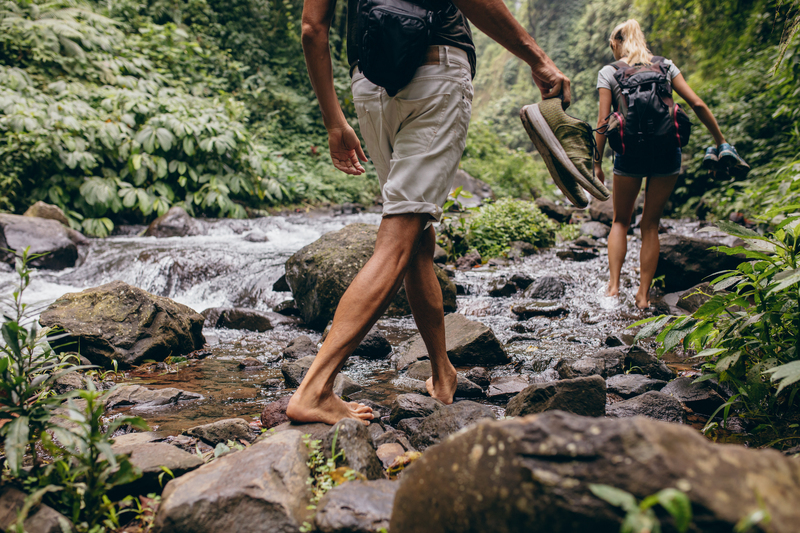 Kingsland is surrounded by stunning and lush forests and marshland that are exceptional to explore on foot, by boat, or on a tour. 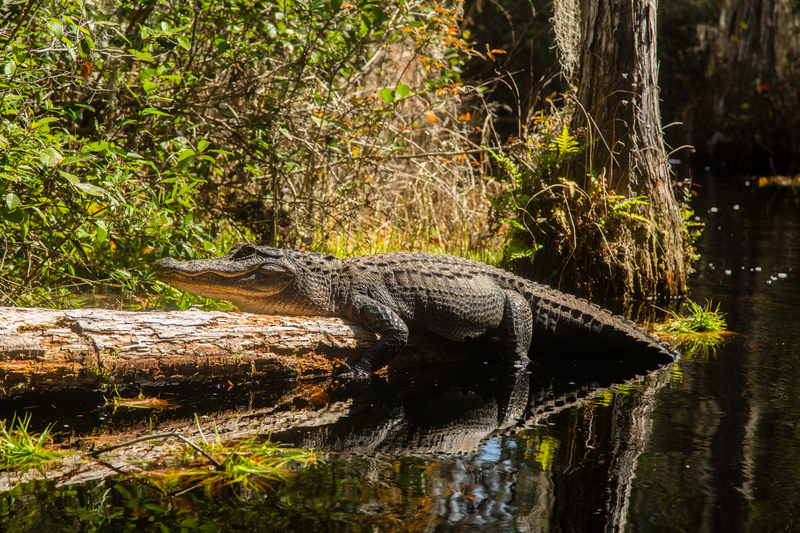 The FLETC is just 30 miles away, while outdoor enthusiasts can enjoy easy access to Okefenokee Swamp and Jekyll Island for hiking, nature experiences, and boating excursions. The Golden Isles of Georgia are also nearby, offering a stunning island adventure. 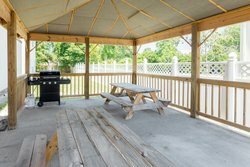 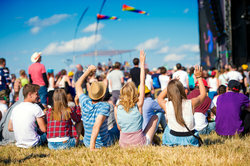 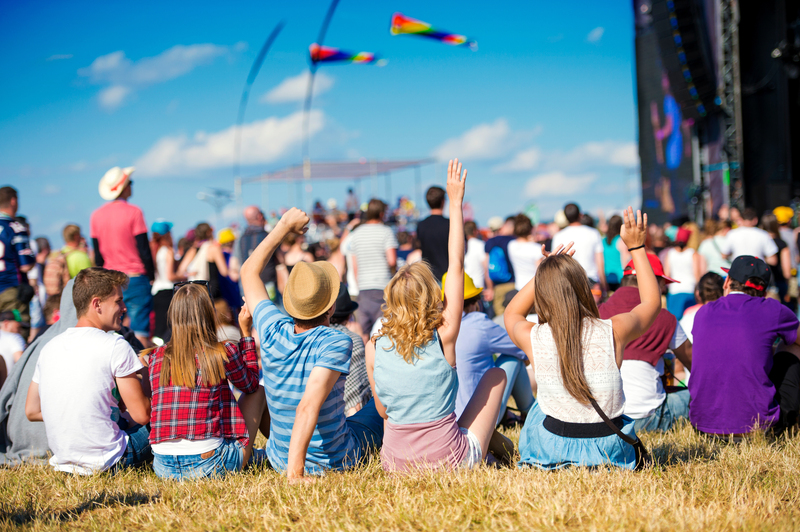 Local events make up some of the most thrilling and community-oriented things to do in Kingsland, GA.
Beauty, adventure, and exciting animal encounters await at this stunning site. 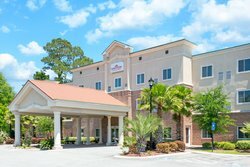 Stay at our all-suites hotel near Okefenokee National Wildlife Refuge and explore the many historical sites, the boardwalk, the marshes, and forests. 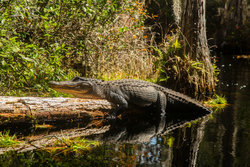 Over 100 miles of boating trails, along with intricate hiking and walking trails await you at this “refuge and breeding ground for migratory birds and other wildlife”.